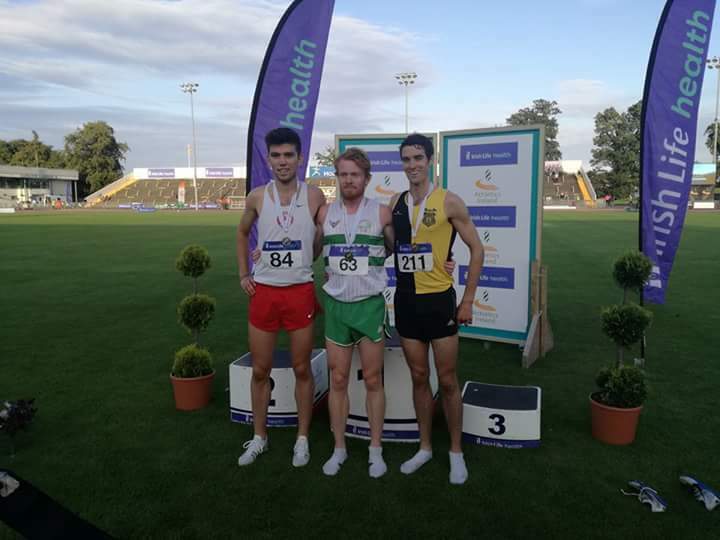 Kilcock’s Kevin Kelly secured the silver medal, finishing 2nd behind Sean Tobin in the final of the 1500m at the National Championships at Santry on Sunday evening, 23rd July. Kelly, representing St Cocas produced a superb display and lost nothing in defeat behind pre race favourite Tobin, with two-time winner Eoin Everard back in 3rd. Meanwhile in the women’s 1500m final, Kelly’s St Cocas’ team mate Rachel Smyth also ran an excellent race, just missing out on a medal in 4th place. 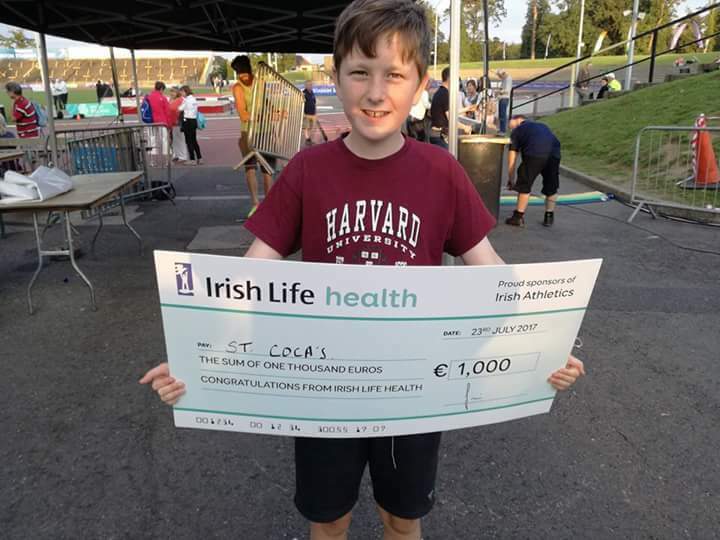 A good evening for St Cocas was capped off when the club were presented with €1000 by Irish Health Life.